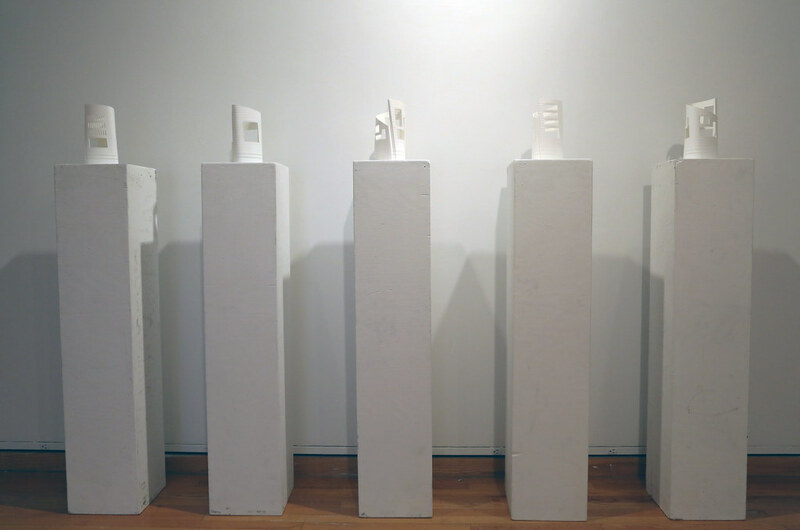 The exhibition on display in the John Hartell Gallery. 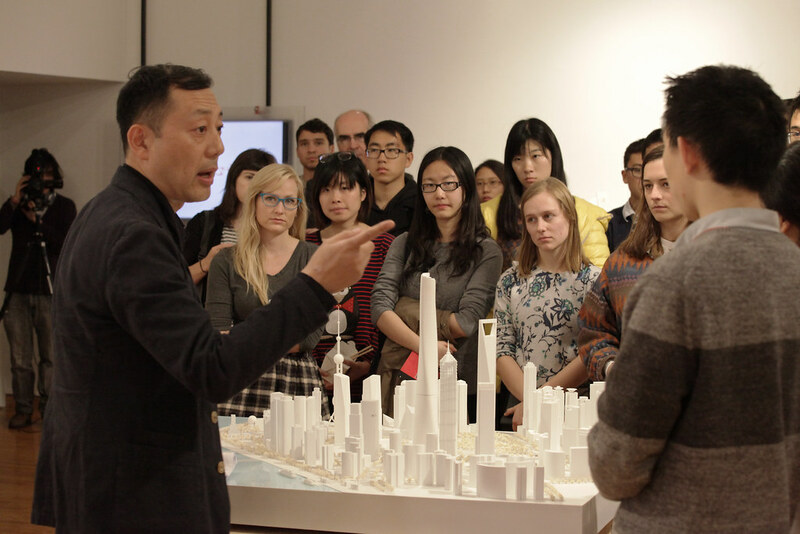 Jun Xia, regional design director and principal at Gensler visited campus to talk about the project and the models. 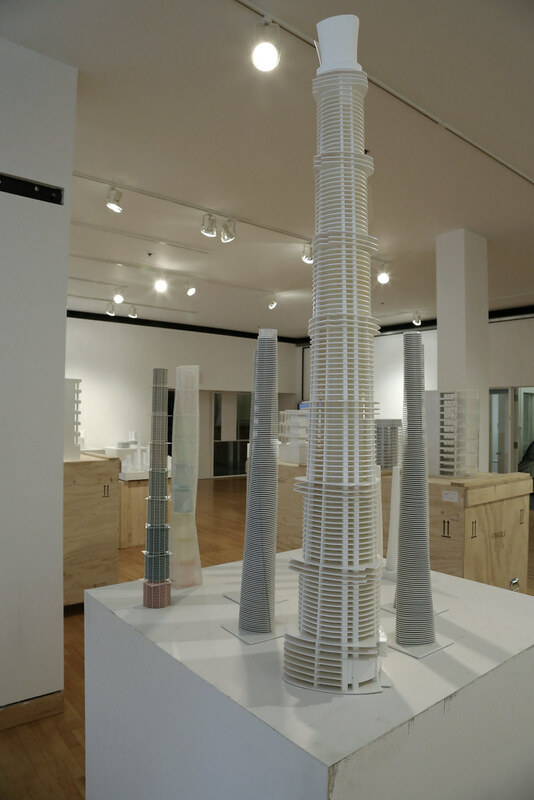 The exhibition on display in the John Hartell Gallery. 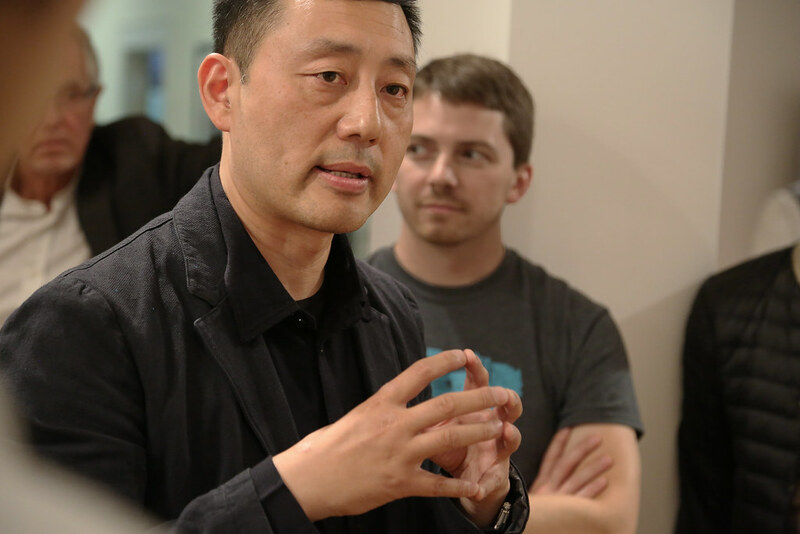 Jun Xia, regional design director and principal at Gensler visited campus to talk about the project and the models. Shanghai will be the gateway city of the world's soon-to-be largest economy. 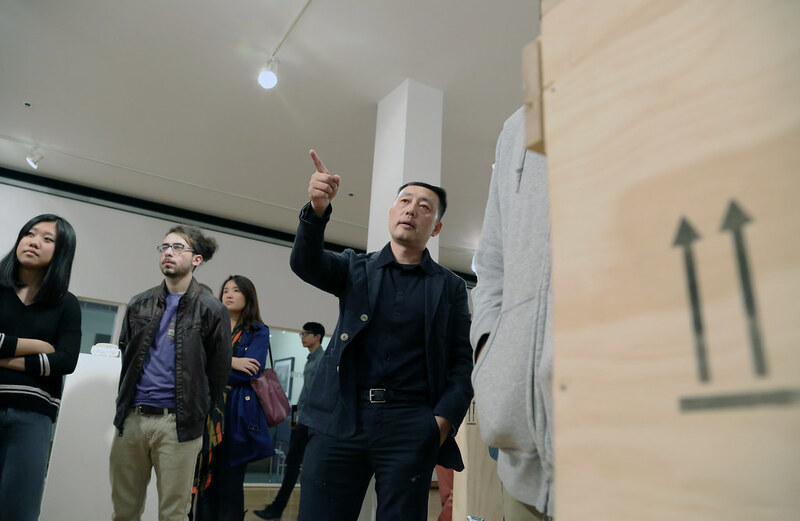 With an integrated approach to design and technology, Shanghai Tower embodies a new un­derstanding of the super-highrise building and its place in the 21st-century city. 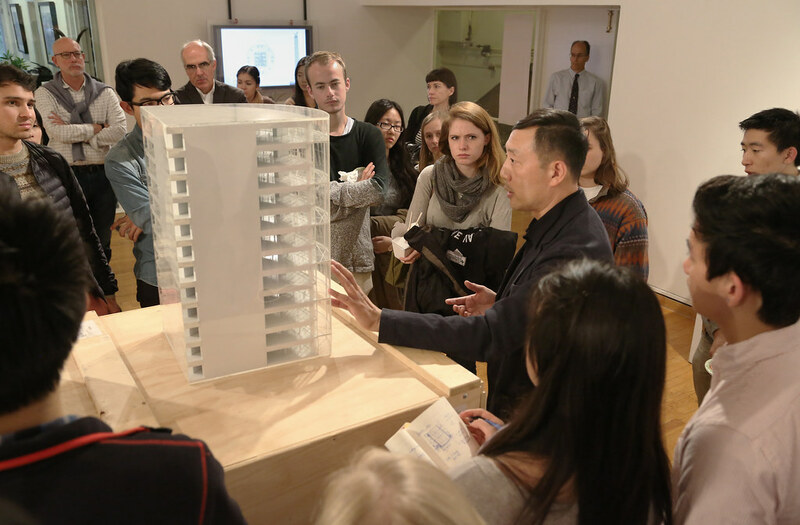 Rather than looking past any ambition to merely make its mark on the skyline, the tower's design anticipates a future that is sustainable in every way: economically, so­cially, and environmentally. 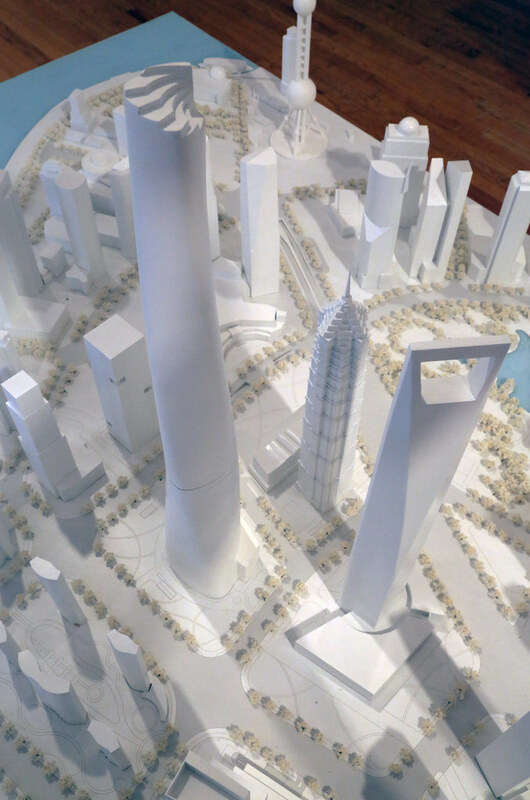 The tower will anchor the city's Lujiazui district, which has emerged as one of East Asia's leading financial centers. Designed by a local team of Gensler architects to embody Shanghai's rich culture, the 632-meter-high mixed-use building will com­plete the city's highrise precinct. 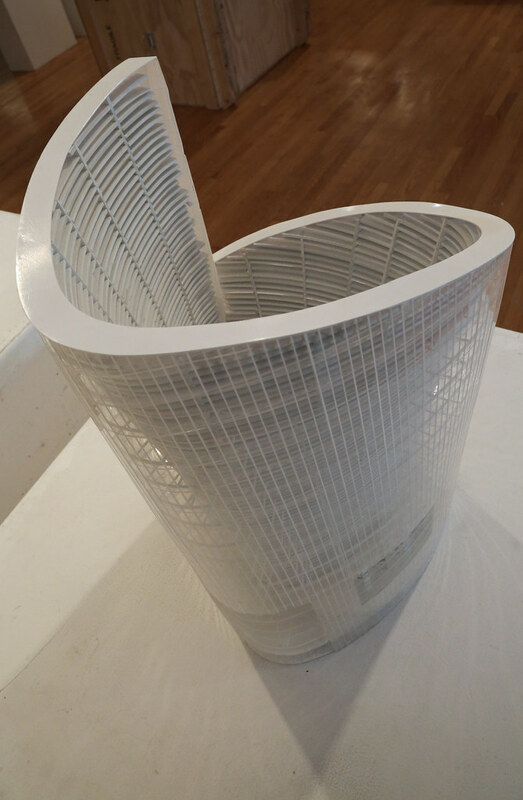 It is the most forward-looking of a planned three tower ensemble symbolizing Shanghai's past, present, and future. The tower's sky lobbies and terraces take inspiration from Shanghai’s unique historic parks. Shanghai Tower is at the forefront of a new generation of super-highrise towers, achieving the highest level of performance and offering unprecedented community access. 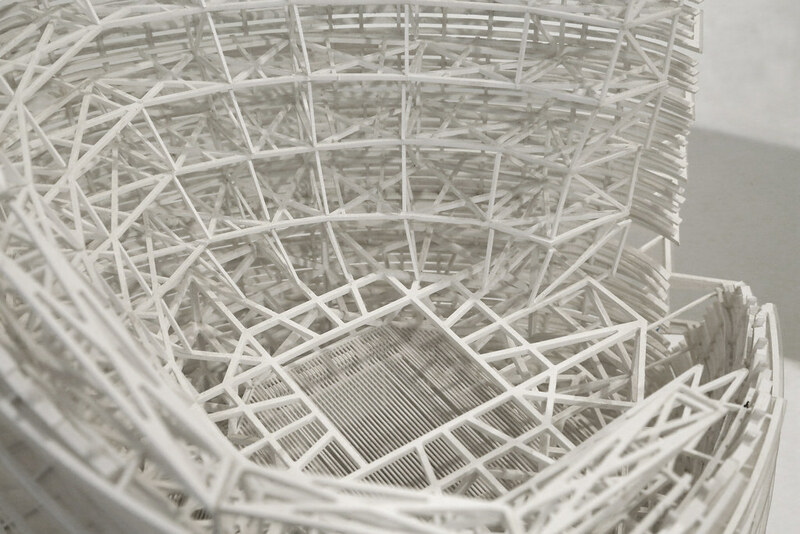 This exhibition focuses on the design process, particularly the use of models to test a myriad of design concepts from overall massing strategies, to building envelope iterations, to lighting and structural schemes. Each model grouping targets specific areas of research. Each is scaled and crafted according to its purpose, several are fragmentary. 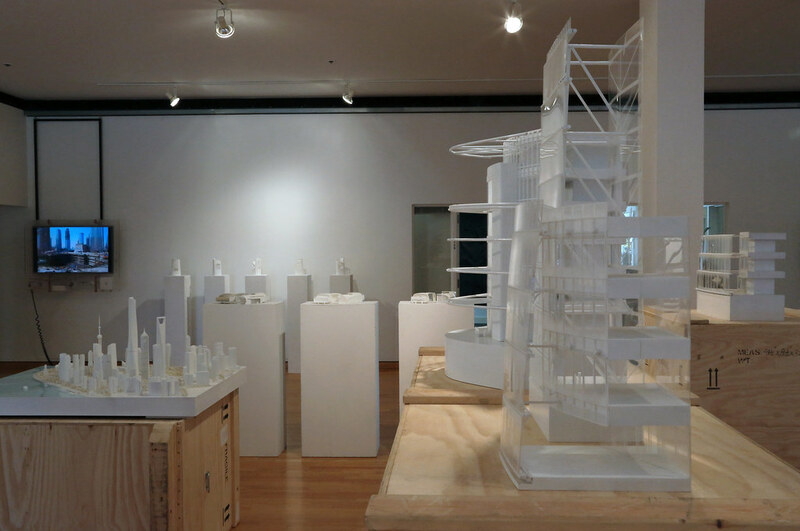 The totality of these rough test models on display sponsors an unintended miniature city in the space of the gallery.